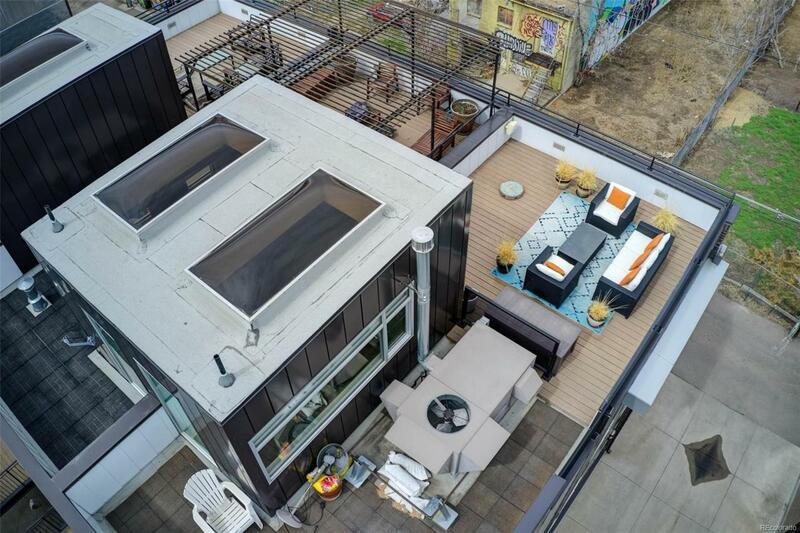 4 Levels of cool urban living with UNBELIEVABLE Mountain and City Views from your rooftop deck! Walls of Windows and Glass Floor panels set the hip vibe of this end-unit townhome. Upscale finishes throughout. 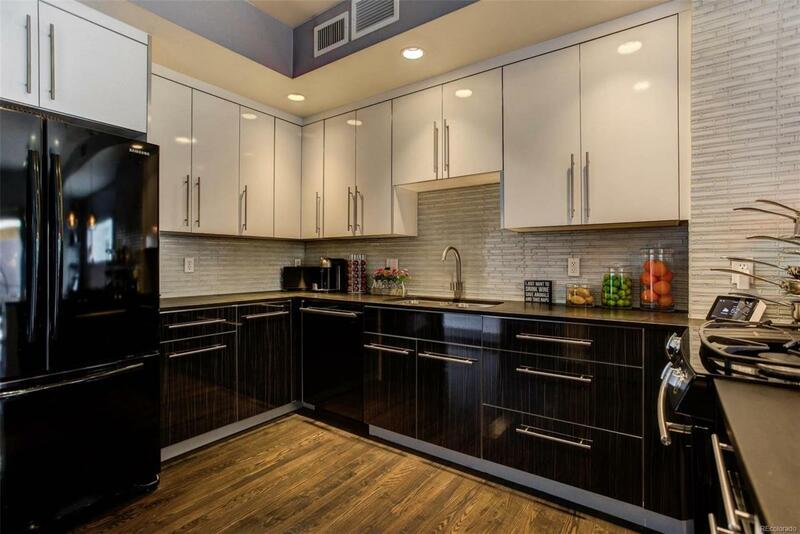 Gourmet kitchen features sleek dark cabinets with white uppers, glass back splash, gas range, walk in pantry, extra storage, dining that leads to a large deck, just 1 of the 3 outdoor entertaining spaces. Upstairs is a spacious master suite with spa bath features, guest suite with private bath. 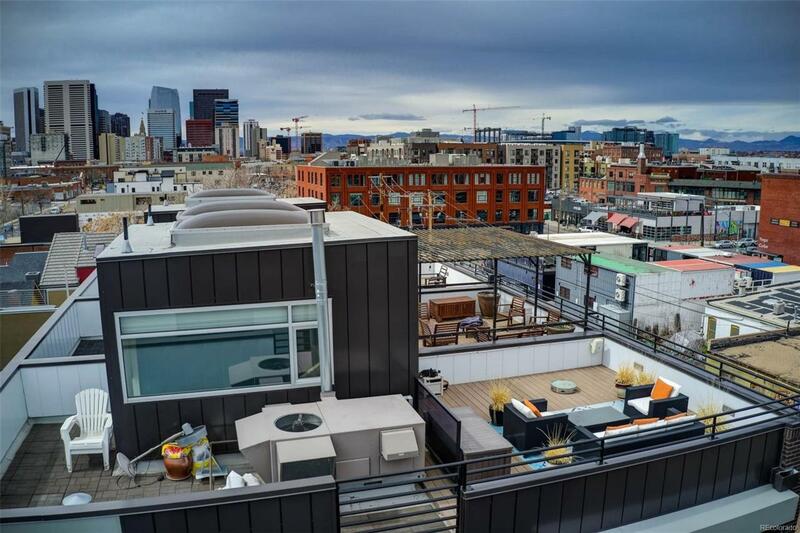 Up the stairs to the oversized rooftop deck for everyone to enjoy the Mountain and City views while watching the fireworks at Coors Field. Unfinished basement ready to be finished with a walk-out sunken patio. 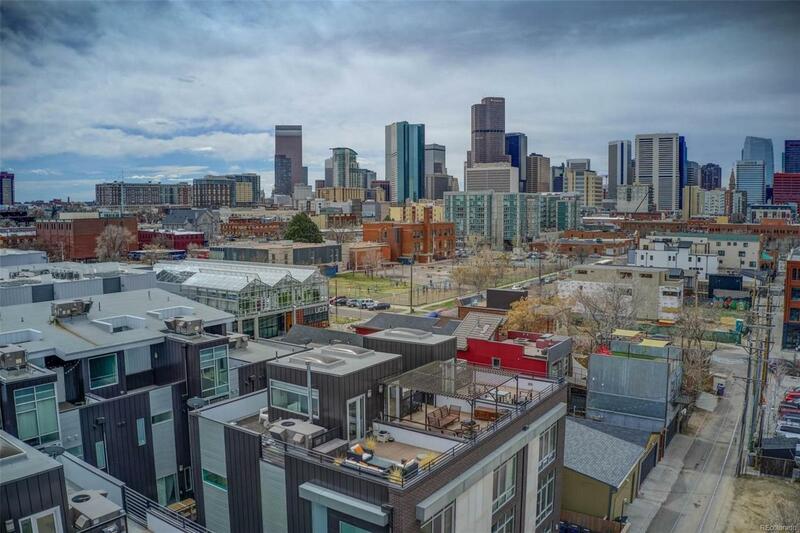 This is one of Denver's most exciting and trendy neighborhoods with the new Ramble Hotel, art district, shops, restaurants, breweries all within a stone's throw. Short walk to Coors field, Union Station, light rail, parks.